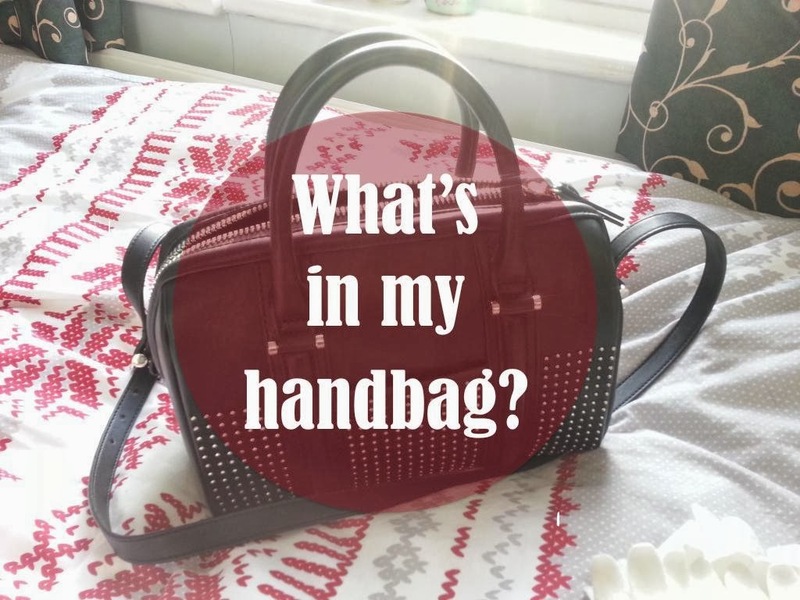 What's in my handbag? | RAWR BOWS. Hello there! Recently, I saw this video of Cara Delevigne showing what's in her handbag and, even though I am obviously not Cara, I thought I would tell you guys what's in mine in case anyone out there is bored and wants to be nosy. My handbag is from Zara, I got this for Christmas so they might still sell it but I'm not sure. Unless I'm going clubbing or to uni, I will always use this bag as it's the perfect size for me. Not too big, not too small. And, also, it looks super cool so that's a plus. Okay, so what do I keep inside? As you can see, I don't keep a lot o stuff. Just some things that may come in handy when you are out and about (and some random stuff as well). Some things that are ALWAYS in my handbag are my college ID (the white card with my picture on it) and my Oyster card, I can't get into halls, uni, library, labs... without my ID so I pretty much need it every time I go out. I never used to take my Oyster card with me, but after having to buy 6 Oyster cards I've learnt that I should always keep it with me. I also keep my iPod and earphones as I like to listen to music when I'm alone or in the tube and some make up essentials to touch up my make up during the day. I also like to have some water with me as, even though I don't drink a lot, I tend to get quite thirsty lately. Whilst taking everything out of my handbag I also found my Soap & Glory hand sanitizer and my brown bow that I thought I had lost, so that was good! Since London has been rather cold these last days I also have a pair of gloves to keep my hands warm and some pain killers in case I get a headache (I tend to get headaches when I go shopping due to temperature difference). If I remember to lock my room (which is not very often) I also keep my key with me (obviously) and I found some receipts at the bottom of my bag. Finally, and probably one of the most important things, I keep my super duper cool wallet that has a super cute fox on it. I got it from Urban Outfitters and a surprisingly affordable price, £24. I keep a bunch of coins/notes, my debit cards, Spanish ID and some random cards in it. 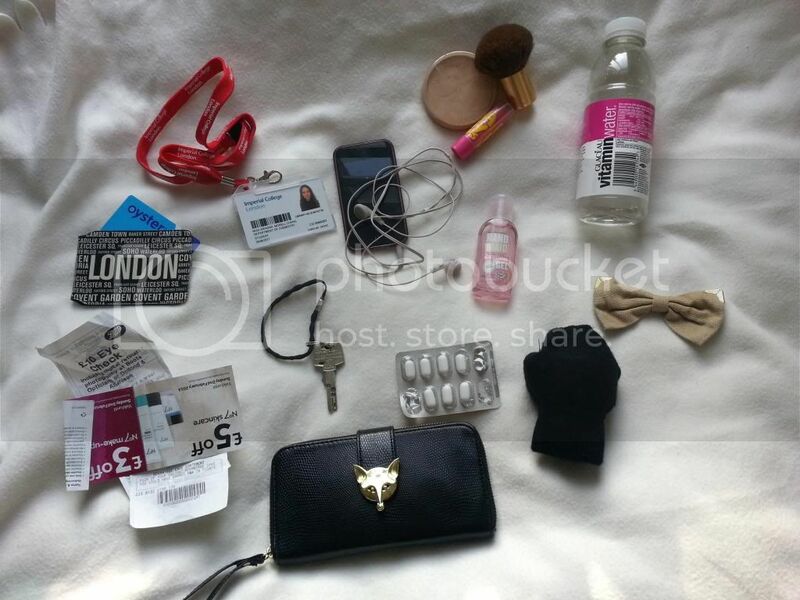 And that's all I keep in my handbag, what do you like to have always with you? I’m Natasha from Natoodle and I was just letting you know that I’ve nominated you for a Liebster Award! My blog post explains what this means and also what you have to do now. Well done!